Experience an ancient natural lifestyle in the wild, open spaces of Iran, and a wealth of cultural treasures. The wandering tribes of Iran are the world’s largest remaining concentration of traditional nomads – over a million people practising an ancient way of life, moving with the seasons to the rhythm of Nature. Historians have found that back in the Sassanid era (A.D 224-642) these people’s ancestors lived in much the same way, with costumes and dialects which have changed little to this day. These herdsmen live along the Zagros mountain range and in western Iran, migrating from the cooler mountain pastures in summer to the warmer lowland plains in winter, to take advantage of seasonal grazing resources. Their principal income from animal husbandry is supplemented by the sale of handicrafts, such as woven kilims, jajim and jol-e-asb (horse blankets), khoorjin (bags), giveh (traditional shoes), and carpets famous for their great variety of colours, and striking patterns. Our tour brings you into close contact with these proud, independent people, and offers a unique insight into a way of life that has vanished from so many of the world’s wildernesses. It’s a journey back in time, moving closer to nature under wide, open skies, full of sights and sounds you will always remember. And to complement the experience, we will also take you to Iran’s most beautiful cities, where our rich cultural history is enshrined in superb monuments and museums, full of wonderful artifacts. The journey begins in Tehran, where we visit the world-famous museums, and begin to get a feeling for Iranian history and culture. We travel across the Caspian Sea, the world’s largest lake, to the home of Shahsavan nomads in the north west. This territory, rich in natural resources, is one of the largest areas suitable for animal husbandry and agriculture in Iran. Here we will spend the first of our three nights under canvas during the tour, and visit one of Iran’s largest bazaars at Tabriz, and Takab’s fascinating archaeological site, Takht-e-Soliamn. Hamadan, the delightful old summer capital of the Persian Empire, is our gateway to the region of the Bakhtiari nomads, one of Iran’s largest tribes, whose ancient monuments and painting suggest they are a branch of the Arian race. They use natural dye to produce a harmonious range of colour in their carpets, some known as Garden Carpets featuring flower and tendril-filled compartments designs, and others decorated with lattice designs filled with floral ornaments. We spend one night in camp with the Bahktiari to gain an insight into their way of life, while enjoying the natural beauty of our surroundings. Ghashghei women are renowned for the skill and vitality of their weaving, producing magnificent rugs and kilims in glossy, vibrantly coloured wool. The central ‘field’ is often filled with a host of lively motifs drawn from nature, including rosettes, floral cones, small animals and birds. Staying here for a night, we also have the opportunity to visit the Margun Waterfall, one of the largest in Iran. Having immersed ourselves in a life close to nature, it’s time to sample the splendour of Iran’s famous cities, beginning with a trip to romantic Shiraz. 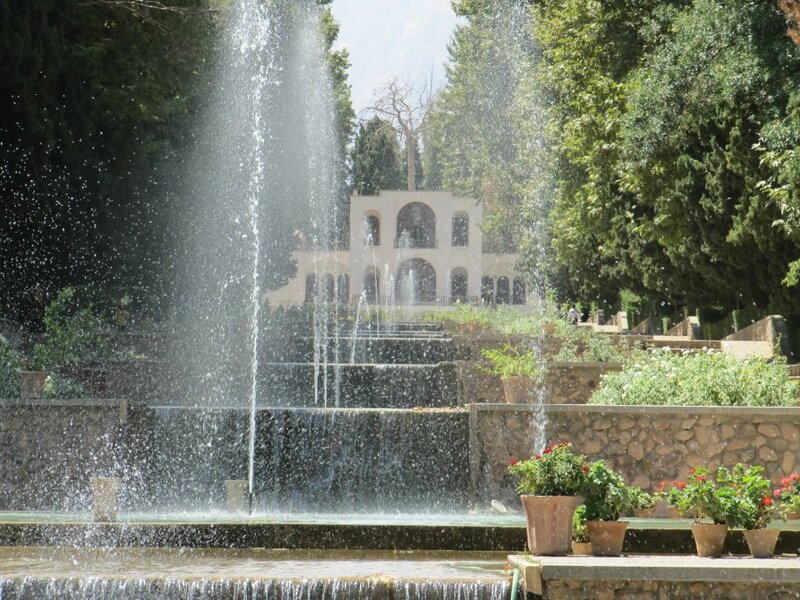 With its beautiful gardens, this City of Poets, Roses and Nightingales is the birthplace, and final resting place, of the greatest Persian poets, Hafez and Saidi. From here, we visit an astonishing array of unmissable sites: 2,500 years of history at Persepolis, and Naghsh-e-Rostam, with the tombs of the Achaemnid kings, the Sasanid epigraphs and reliefs, and the Zoroastrian Kaba monuments. Nearby Passargade has the tomb of the Cyrus the Great, the holy shrine of Shah-e-Chragh and the major site of pilgrimage, Eram Garden, an enchanting building with a beautiful eastern garden. As our tour reaches its conclusion, we come appropriately to Isfahan, the Jewel of Iran, a treasure-house of Islamic architecture, said to have the most beautiful Islamic mosques in the world. Our two days here will pass all too swiftly! We heartily recommend this journey of discovery, with its mixture of ancient and modern, of man-made treasures, and a chance to witness at first-hand the indomitable spirit of peoples living harmoniously amid the wonders of nature. Altogether, it’s an irresistible and rewarding tour which, in our opinion, rivals any we have ever offered by delivering variety, fascination and inspiration in equal measure. Day 1, Tehran: On arrival in Tehran, you will be met at the airport for the transfer to the Hotel. 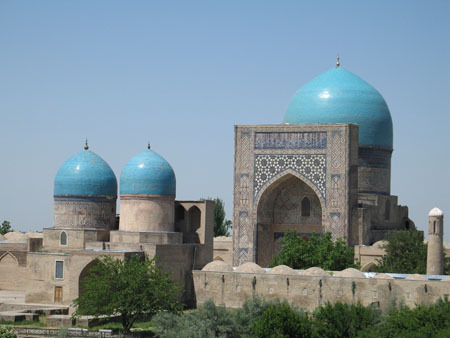 Visit the the Ethnological, Archaeological, Ceramic and Glass Museums, and the Bazaar. Overnight in Tehran. Day 2, Tehran-Anzali: We drive to Qazvin to visit the Friday Mosque, and the Bazaar including 15 caravanserai, before continuing to the picturesque mountainous region of Chains, and the fishing town of Bandar-e-Anzali on the Caspian Sea. Overnight in Bader-e-Anzali. Day 3, Anzali: We explore the town’s fish market and bazaar, then go boating and bird watching through the Anzali Marshlands, where many different species can be spotted, stopping off for lunch at a local restaurant. Overnight in Bader-e-Anzali. Day 4, Ardabil – Shahbil: We are entering the lands of the nomadic tribes, and our first encounter with them will probably be on the way to Khalkhal. Our journey continues to Ardabil and the beautiful 14th-century Sheikh Safi-Ad Mausoleum, and onward to the village of Lahrood, to stay at Shahbil, an encampment of the Shahsavan nomads, with several hot springs. Overnight in tented accommodation. Day 5, Shahbil – Tabriz: We head for more Shahsavan nomad centres at Qezel Bareh, where we will be able to take some photos, and the encampment at Qotorsooe, again surrounded by hot springs. We travel onward via lahrood, Meshkinshahr, and Ahar before reaching Tabriz and our overnight hotel. Day 6, Tabriz – Takab: We visit the Azerbaijan Museum, the superb 15th Blue Mosque with its famous mosaic tiles, and the Il Goli Monastery, with a celebrated 19th-century garden around its central pavilion. We set out for Osko, Kandivan, and Khangah along the western shore of Orumiyeh Lake (Salt Lake). Then its onward to Maragheh, to visit the Three Selijuq Tower, before finally arriving at Takab. Overnight in Takab. Day 7, Takab – Hamadan: In the morning we explore Takht-e-Soleiman, the extraordinary Sassanid and Islamic site. After lunch, , we stop off to see Alisadr Cave, one of Iran ‘s most astonishing natural sights, en-route to Hamadan. Overnight in Hamadan. Day 8, Hamadan – Shahr-e-Kord: Our Hamadan sightseeing tour includes the 6th-century BC rock inscriptions at Ganjnameh, the 4th-century Stone Lion, the Tomb of Avicenna, the 11th-century Persian scholar, and the Shrines of Esther and Mordecai, the Jewish queen of Xerxes. We then drive onward via Atrak and Golpayegan to Shahr-e-Kord. Overnight In Shahr-e-Kord. Day 09, Shahr-e-Kord – Marboreh: We go to meet the Bakhtiari nomads in Farsan, Chelgerd, and Marboreh, walking among the tents and stopping to talk and take photos. Overnight in tented accommodation in Marboreh. Day 10, Marboreh – Chogakhor: We drive through the encampments of the nomads, through Shahriyari and Ardal to Chogakhor Lagoon, a protected area for bird watching and mammals. Overnight in tented accommodation in Chogakhor. Day 11, Chogakhor – Yasuj : We carry on to Gandoman and Yasuj, home of the Ghashghaei nomads. Overnight in Yasuj. Day 12, Yasuj – Shiraz -We take an excursion to the magnificent archaeological sites at Naqsh-e-Rostem and Persepolis, before heading for Shiraz. Overnigth in Shiraz. Day 14, Shiraz -Isfahan:We drive to Isfahan, visiting Pasargade en route. 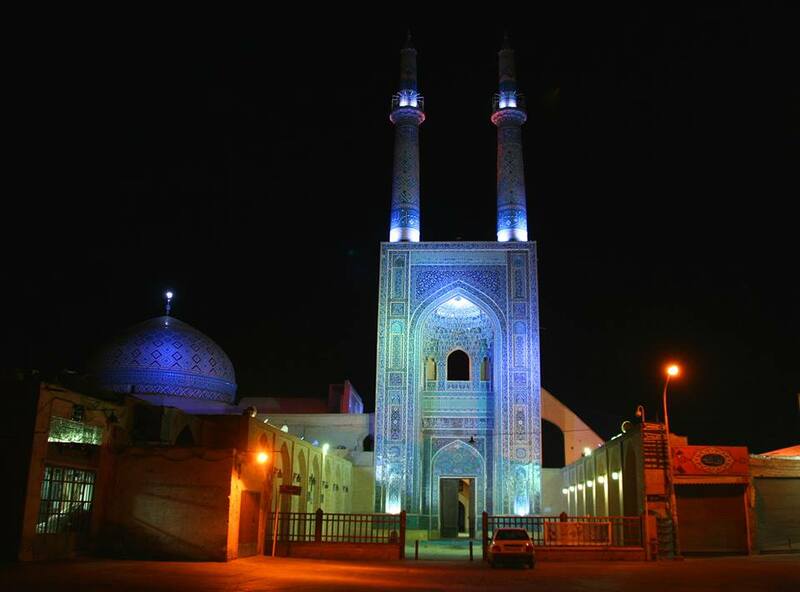 Overnight in Isfahan. Day 15, Isfahan: Iran’s treasure house is a sightseer’s dream! 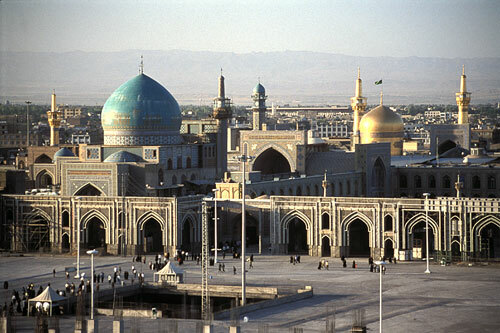 On our first day alone we’ll visit the Imam and Sheikh Lotfollah Mosques, the Aliqapou Palace, Vanak Church, Shaking Minarets, and the Sassanian Fire Temple. Overnight in Isfahan. Day 16, Isfahan : Continue sightseeing in Isfahan. Day 17, Isfahan : Tehran We return to Tehran. Overnight in Tehran. Day 18 – Transfer to Tehran airport for your return flight .